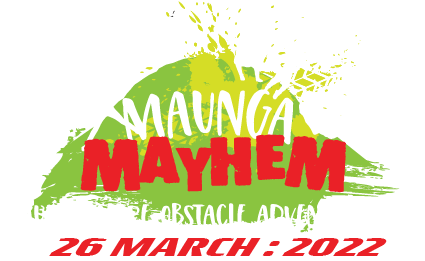 Maunga Mayhem is run by the Maungatapere School Parent Teachers Association and will take place on Duffy Farm in Maungatapere. The map below shows how to find it (only 15 minutes) from Whangarei. Roose Rise is a private road that can’t be used for parking but where the road ends, there is some angle parking and also a field to park in. P2 is Overflow Parking and has a free shuttle from there to the main event area. Toilets are situated behind the registration tent. Food is available opposite the registration tent.